He's a boy called Jew. Gypsy. Stopthief. Runt. Happy. Fast. Filthy son of Abraham. He's a boy who lives in the streets of Warsaw. He's a boy who steals food for himself and the other orphans. He's a boy who believes in bread and mothers and angels. He's a boy who wants to be a Nazi someday, with tall, shiny jackboots and a gleaming Eagle hat of his own. Until the day that suddenly makes him change his mind. 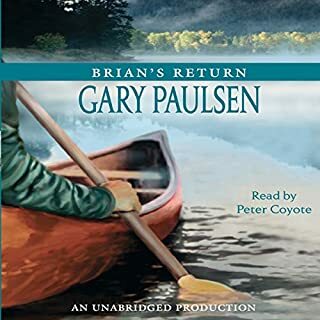 Newbery Award-winner Gary Paulsen's best-known book comes to audio in this breathless, heart-gripping drama about a boy pitted against the wilderness with only a hatchet and a will to live. More than a survival story, Hatchet is a tale of tough decisions. When all is stripped down to the barest essentials, Brian discovers some stark and simple truths. Self-pity doesn't work. Despair doesn't work. And if Brian is to survive physically as well as mentally, he must discover courage. 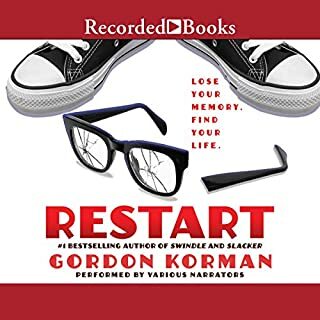 A great read and an even better listen! 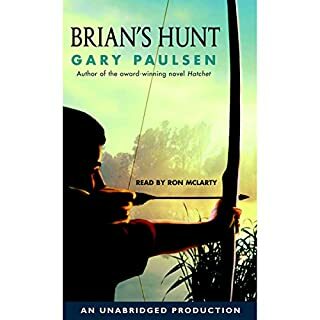 Brian's journey as a character leave the reader both amazed and afraid of the "Great Outdoors"
I was looking for an adventure book that my 14 year old son, 11 year old and 9 year old daughters would like. This book fit the bill perfectly! We drive a lot and love to listen to books together. This one kept us on the edge of our seats, wondering what would happen next. 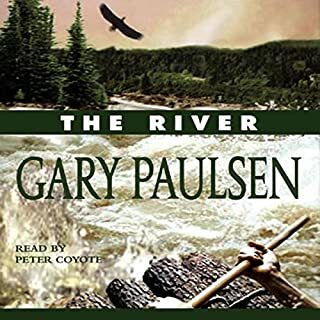 Mr. Paulsen is a fantastic writer and we look forward to listening to the rest of the books in this series. 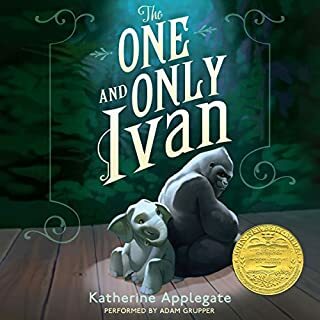 I listened to this story after my 4th grade daughter reccomended it to me! They read it in class and I listened while doing my usual stuff. It was so amazing, gripping, sad, exciting and truly visual that I would have to stop what I was doing just to stare at my laptop! 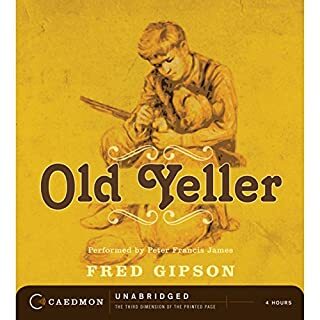 Peter Coyote is a brilliant narrator/actor and I want to hear more of his narrations now. Thank you to author Paulson for a great story. Can't wait to hear THE RIVER. 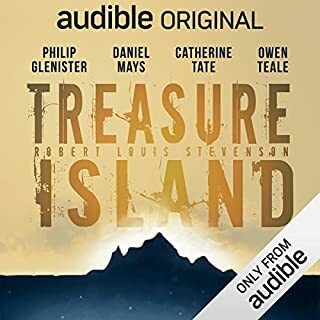 This story is aimed at young folk, but as a 50-something I got a lot out of it and enjoyed it so much I am listening to the rest of the series. My one criticism is that there is way too much dramatic music, and for me it was way too loud. 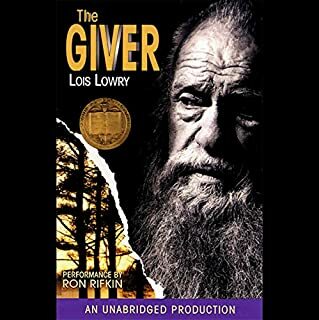 That's why I gave the audiobook three stars overall, even though I rated the story and performance four stars. 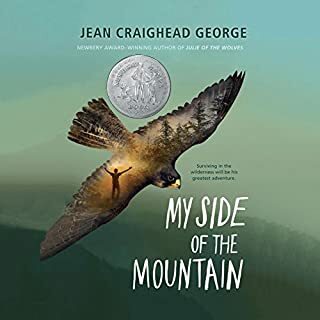 Survival Story for Grades 5 or 6 through 8. This is a story about a young boy, aged about 12, whose parents are divorcing. 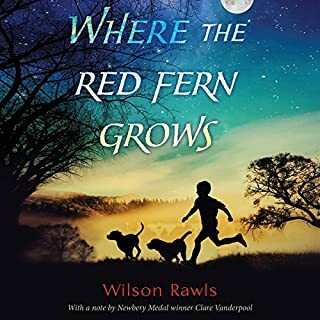 He is on his way to visit his father in the Canadian wilderness when a disaster occurs. 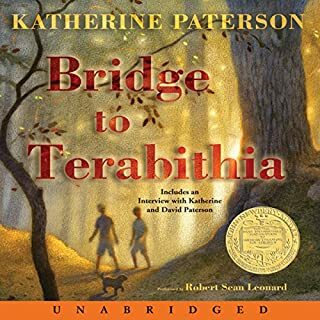 The pilot has a heart attack and dies, mid-flight, and the boy must figure out how to get the plane to land and then survive in the Canadian wilderness until help arrives. 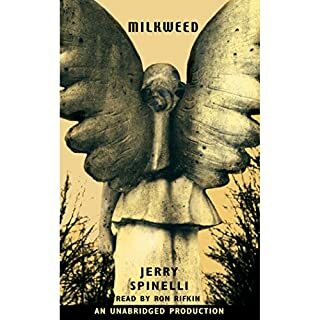 My son read it in 6th grade and loved it, and he really hated to read. It does have some mature themes -- divorce, infidelity, and death -- so is not suitable for K-4 or K-5 children. It is, however, an enthralling story that pre-teens and young adolescents enjoy. the whole family loved it!!! This started out being a entertainment for a road trip and turned into a highlight of our weekend away. My mind kept going back to the movie "Castaway" with Tom Hanks. The way such a young boy finds strength in himself, against all odds, is absolutely inspiring. 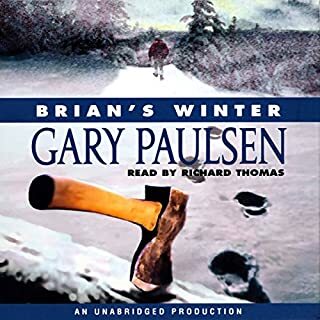 Gary Paulsen wrote an excellent book on self-reliance, strong character and good common sense,and he wrapped it all up in an exciting survival story. Brian is an incredible character. 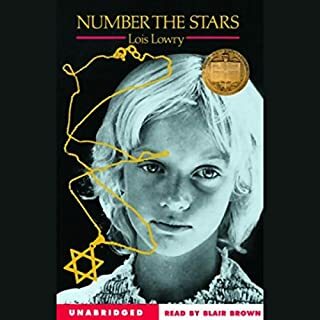 Every kid should read this book in Middle School. 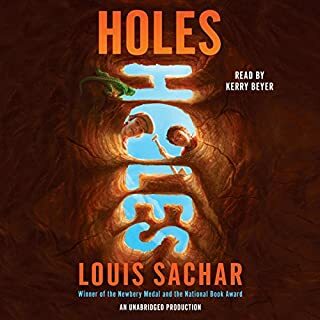 I recommend the audio book for car trips. It keeps everyone engaged and makes the drive time much more enjoyable!! Look for the 2 sequels as well. 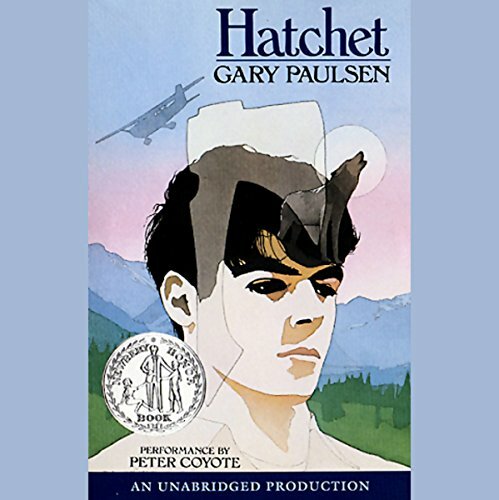 I don't know where to start in singing the praises of "Hatchet"! 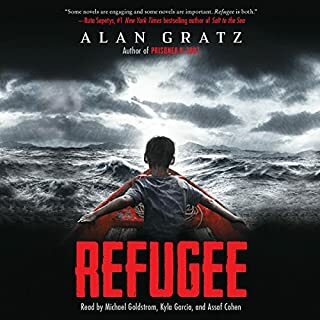 It has all the key ingredients necessary in a good audiobook, including a narrator who reads with emotion and clarity, and a thoroughly gripping plot. I nearly missed my bus one morning, I was so engrossed in the story! For anyone who loved/s "My Side of the Mountain," this is even better. I always like the survival story and ingenuity of the survivor. Well told. However the sometimes music and effects nearly ruined this for me. 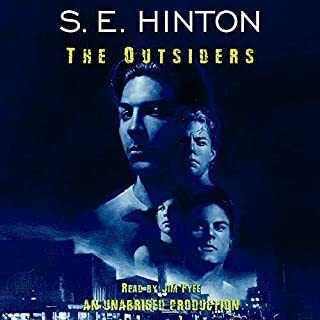 The narrator shd be enough and coyote did ok in that regard. Would be much better without the music. I Did enjoy it though. 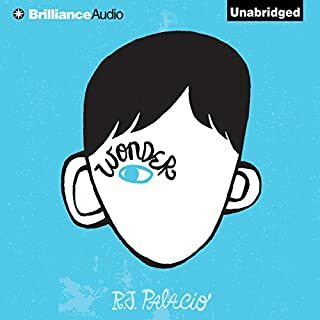 I remember reading while in grade school and wanted something quick to listen to while working. Great story that paints the whole picture but the only that took me out of it sometimes was the music/tones. I know it was during tense parts but felt "outdated." Like this was recorded back in the 80s....personally could've done without it but performance was still great. Recommend and enjoy.